The acquaintance of Sr. Cresencia with Father Francisco Pintac paved the way of our presence in Brazil. Father Chico, a Filipino priest, invited Sr. Crisencia to visit Brazil to see the possibility of establishing our new mission. During the first visit of Sr. Crisencia and Sr. Melanie in Brazil, they were introduced to Father Joseph Daniel Potter who worked in the diocese of Juazeiro for 50 years. Father Joseph Daniel Potter from the Diocese of Bridgeport, Connecticut, USA,then invited the congregation to work with him. He was the one who facilitated our stay in the diocese. Until this time he plays an important role in the establishment of this mission in the Diocese of Juazeiro- Bahia, Brazil. In April 2007,Sr. Evelyn Aranas arrived accompanied by Sr. Cresencia and in November of 2007 Sr.Theresiata Suwarsih arrived. The sisters were sent to Brasilia, (Centro Cultural Missionario) to learn the language and its culture. Sisters Evelyn Aranas and Theresiata Suwarsih are now fulltime pastoral workers in Juazeiro- with Father Jose Potter. During the first year, the sisters were helping Fr. Joseph Potter in his communities. Each sister has a particular community to accompany. 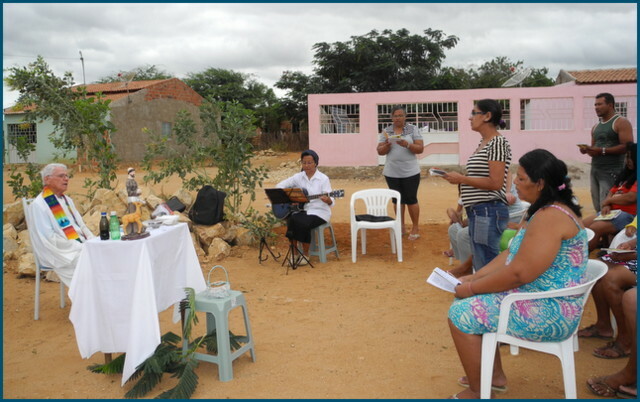 Sr. Evelyn was accompanying the community of Sao Sebastiao and Sister Theresiata was accompanying the community of the Imaculada Conceicao. Besides these responsibilities, the sisters are extending their help in the formation of the catechists, coroinhas (altar servers), in the liturgy, in the evangelization, choir, celebration of the word especially in the communities with no priest. At this time, in its 5th year, the sisters are involved in other pastoral works; Sr. Theresiata is now coordinator of the Pastoral Da Pessoa Idosa (the Elderly) visiting the elderly in their homes, giving communion and also continuing to help the women particularly those mothers whose children are studying in the crèche (kindergarten) in to make cross stitch which could be sold. 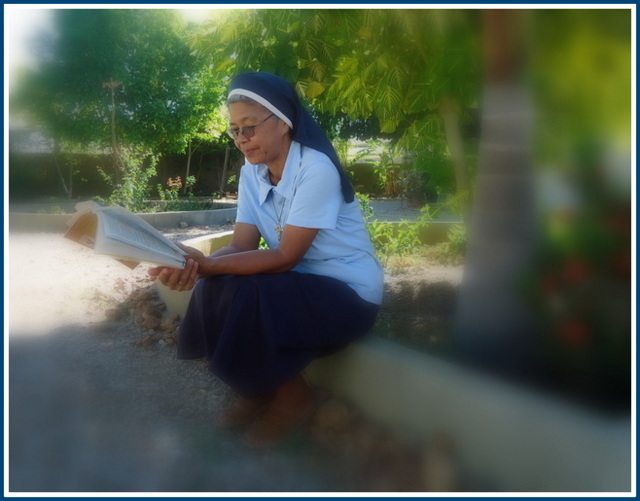 Sr. Evelyn is also a volunteer worker in the public hospital; every Thursday afternoon, together with other volunteers, they visit the sick. With the arrival of the new priest, there is a new set up of the parish. Father Jose is now working in the interior and the new priest take charge of the matrix. With these changes, Sr. Theresiata is helping Fr. Jose in the interior while sr. Evelyn is helping the new communities. At least in the communities where the sisters are involved, many of the people in Juazeiro are migrants seeking for greener pasture in cities along the big San Francisco River that promise better lives. These people are poor, many have not gone to school even just for the basics of writing and reading. Maybe there were not enough opportunities for them to acquire such knowledge. The people are very sensitive to the ways the Sisters support and care for one another. Personal interactions express in words and actions are easily picked up and felt by the people especially those who are often in contact with them. So in this kind of milieu, the CB sisters could make time and creativity in introducing religious life to almost everyone in the basic faith communities. Their inquiries are related to the integrity and relevance of priesthood and religious life in general. The house of the sisters is also open for those who are in need of silence, prayers, and recollections. The sisters could be a channel for the people to express their faith. The sisters hope to maintain the growth of the people whom they are in contact with and they also helped by the people to deepen their faith and their mission. May the name of the Lord be glorified.